The woman was injured in a collision at the junction of Preston New Road and Mythop Road, near the Toby Carvery and Harbour mental health hospital. The crash happened at the junction of Preston New Road and Mythop Road in Blackpool. 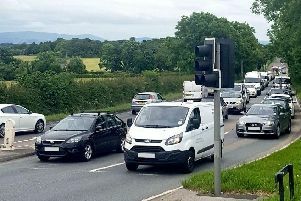 The crash involved two cars - a white Mercedes and a black BMW - at around 1.10pm and forced police to briefly close the road to allow emergency services to attend. Am ambulance and a rapid response vehicle attended and a woman was treated at the scene for a neck injury. North West Ambulance Service said the woman did not require hospital treatment. 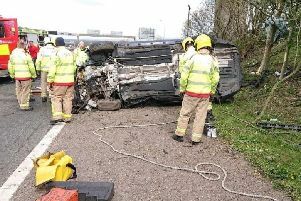 A police spokesman said: "We were called to the crash at 1.15pm. Two cars are involved in the incident. The road has reopened and traffic is moving freely.